Alberta Premier Rachel Notley tells Anna Maria Tremonti that oil production cuts are just a short-term stopgap to Alberta's oil price "crisis." She says her government will push for upgrades and more pipelines as a long-term solution. 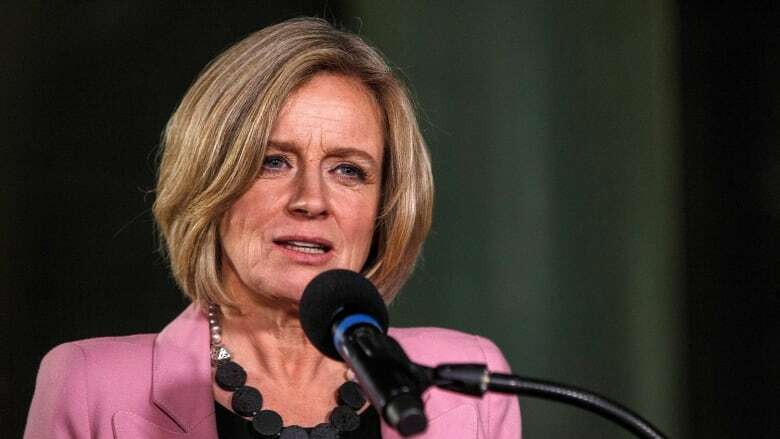 Alberta Premier Rachel Notley's announced cuts in oil production may be a short-term stopgap for what she has called a "crisis" on oil prices, but she says the province has a longer-term focus on "upgrading." "Upgrading" the viscous bitumen that comes out of the ground means adding hydrogen or removing carbon. That makes it a lighter, more valuable product, according to the Alberta government website. Notley told The Current's Anna Maria Tremonti that the lighter hydrocarbon is then more suitable for anything from "refining it to be a product that's easier to put into the pipes, up to and including making plastics, and everything in between." These efforts are all about being able to do more with the oil you take out of the ground, she explained. "It's a multigenerational conversation — around many, many kitchen tables throughout this province — around the need to do more in upgrading." On Sunday, Notley ordered a temporary 8.7 per cent cut in crude oil and bitumen production, in a bid to reduce a glut that has been driving down prices. Notley said her government plans to take significant action to address that need, "so that we're not having those frustrated conversations decades from now." Canadian crude prices soared Monday following her announcement, but federal Conservative Leader Andrew Scheer laid the blame for Canada's oil price crisis at the feet of the Liberal government in Ottawa. Upgrading is only one half of Notley's long-term plan; she also intends to push ahead with demands for more pipelines to get the product from Alberta to the coast, and foreign markets. She argued that pipelines are "much more environmentally sound, much less expensive, and have much, much lower greenhouse gas emissions" than trains. "That's the long-term way we should be shipping the product," she said. "We're just out of pipelines right now." Click 'listen' near the top of this page to hear Notley's full conversation with Tremonti. With files from CBC News. Produced by Idella Sturino and Alison Masemann.